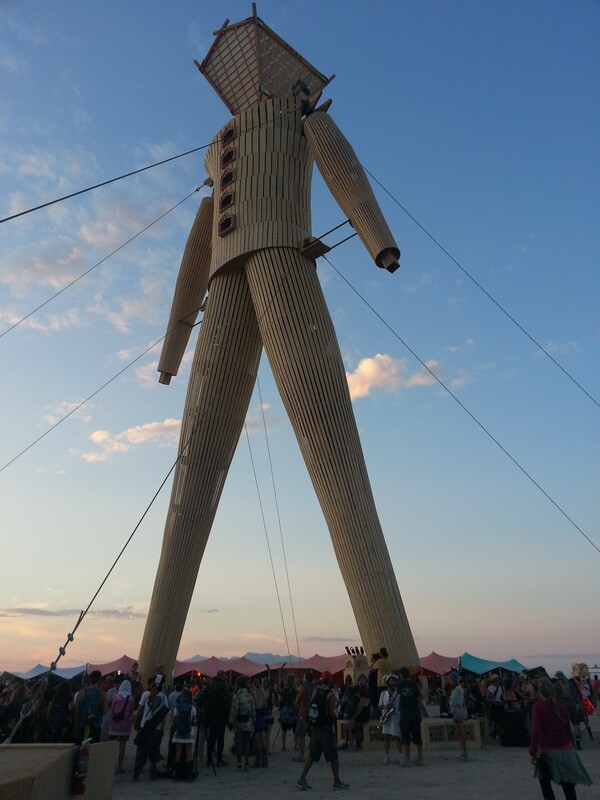 Is Burning Man Worth the Effort? This post is a direct result of exhaustion. The two of us are warn down to what feels like a pile of playa dust from all the effort involved in getting ready for,it has taken to get ready, attending, and recovering from Burning Man this year. Let’s not beat around the bush: it takes a real commitment to prepare to go to the Burn, and when you get back you’re faced with a dusty coating that has to be washed off of everything you took with you (including yourself) – not to mention all the costumes and other paraphernalia that must be stored away for next year. The fact is, Burning Man is not, and may never be, for everybody. Its driving principle of Radical Self-Reliance is enough of a put-off to keep the world out and just us 70,000 Burners in. And that seems about right. Of course, there are exceptions – though I must admit they are apocryphal from my point of view. I have never actually seen one of the so-called full-service charter packages on the Playa where people pay a small fortune to have all their meals catered, live in brand new luxury RVs and even have their bikes decorated by attentive staff members. But there’s so much wealth among attendees from money-printing centers like Silicon Valley that it’s probably real, and it can’t be as demanding as doing it yourself. We’d probably be considered apostates by long-term, traditional Burners because we stay in an RV and spend hot afternoons napping in air-conditioned comfort. But we make our own costumes and decorations, our bikes come from flea markets, and we volunteer to work in a variety of settings during the Burn so we can feel part of the process – and when it’s all over, we wash our own clothes and struggle to de-playa-ize the RV so it will be ready for another Burn (and a decompression party or two). So without question, it takes a lot of energy – before, during and after the event – to make Burning Man work, and it can be exhausting for people our age. But while we’re there, we don’t even think about the effort required, because the payback is so amazing. And as tired as we may feel for a few days post-Burn, we’re soon feeling younger and more energized then ever because we attended. We’re revved up about the art, the fun and the friends we’ve made. We’re refreshed by the complete change of pace that our week or so in the desert always brings to our lives, and we’re already thinking about next year’s Burn. Is Burning Man worth the effort? You have to decide for yourself. But for us, it’s a definite yes.